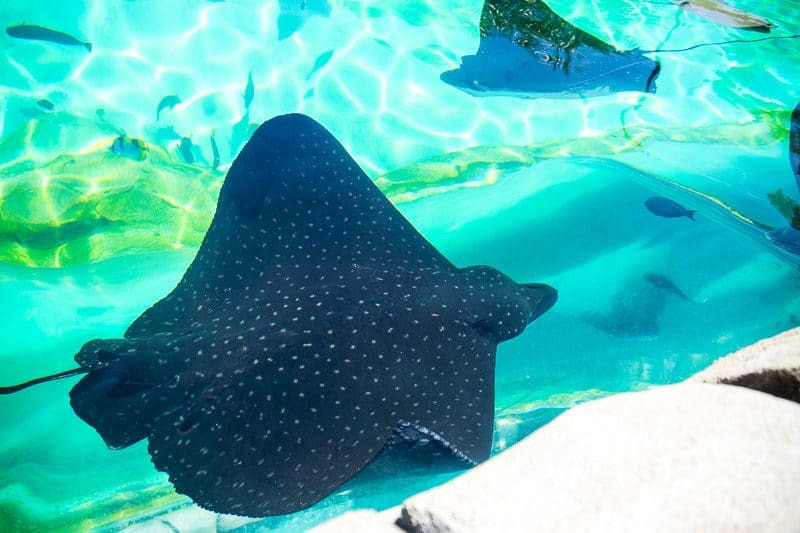 We recently visited SeaWorld San Antonio TX and during our visit, learned a handful of important things to know before you go. 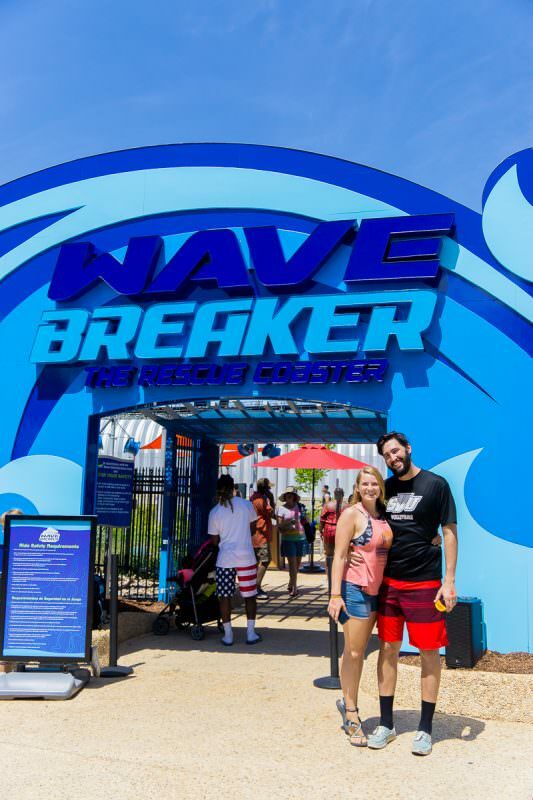 Everything you need to know about the best tickets to buy, what hours to go, which SeaWorld shows are worth your time, how to play over 20 games for $20, and more! If you’re heading to SeaWorld Texas, read this first. 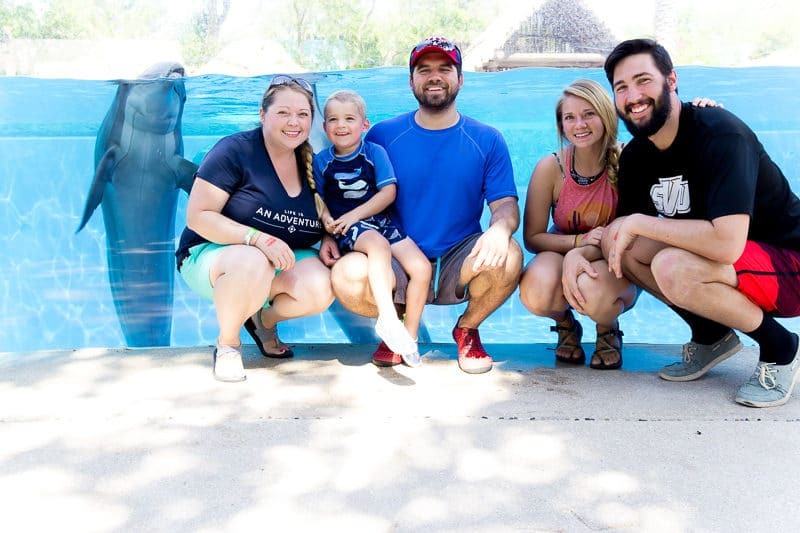 I recently visited SeaWorld San Antonio Texas with my husband, 4-year-old son, my sister, and my brother-in-law. We visited both SeaWorld and SeaWorld Aquatica and learned a bunch of tips and tricks for making the most of your visit. Buy an unlimited flex ticket and buy online at least 3 days in advance to save money. 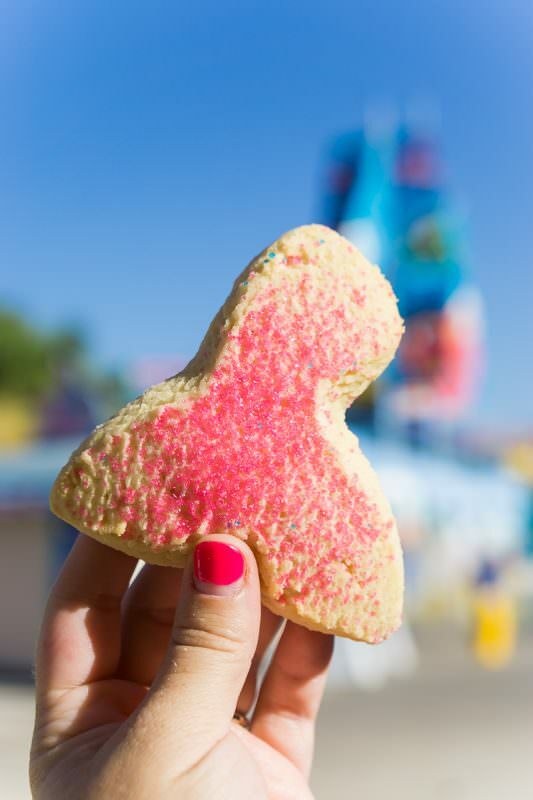 Get at least one SeaWorld all-day dining pass. Sit in the splash zone during the SeaWorld Shamu show. Get a quick queue pass to skip lines at SeaWorld rides. Plan out which SeaWorld shows to watch ahead of time. Do at least one animal experience at SeaWorld San Antonio. 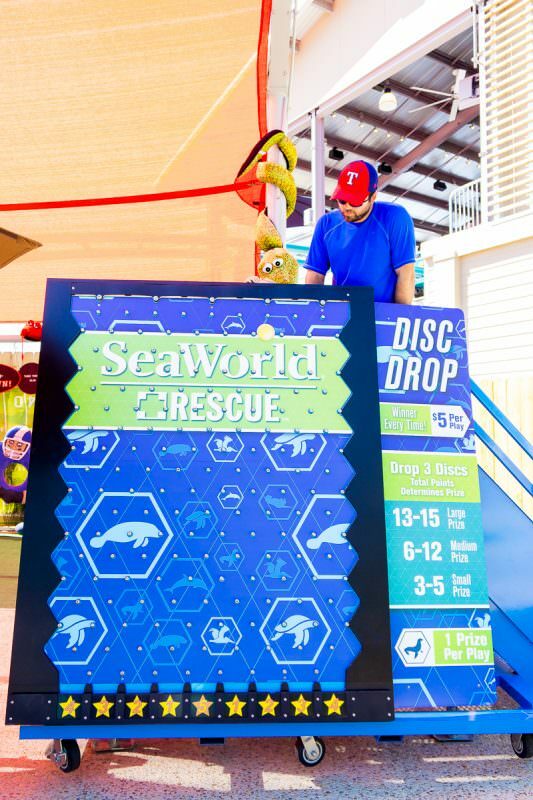 Play games at SeaWorld instead of buying souvenirs. Plan a half-day at SeaWorld Aquatica. 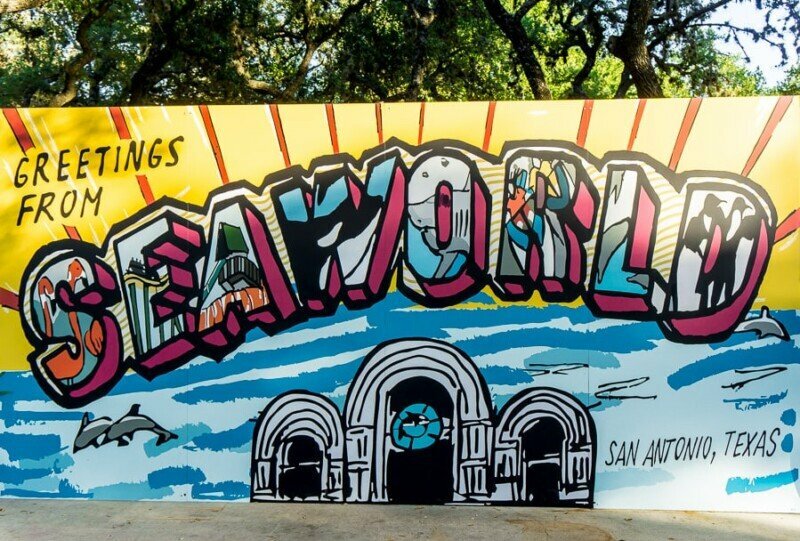 One of the biggest ways you can save money on your trip to SeaWorld San Antonio is to buy tickets in advance. 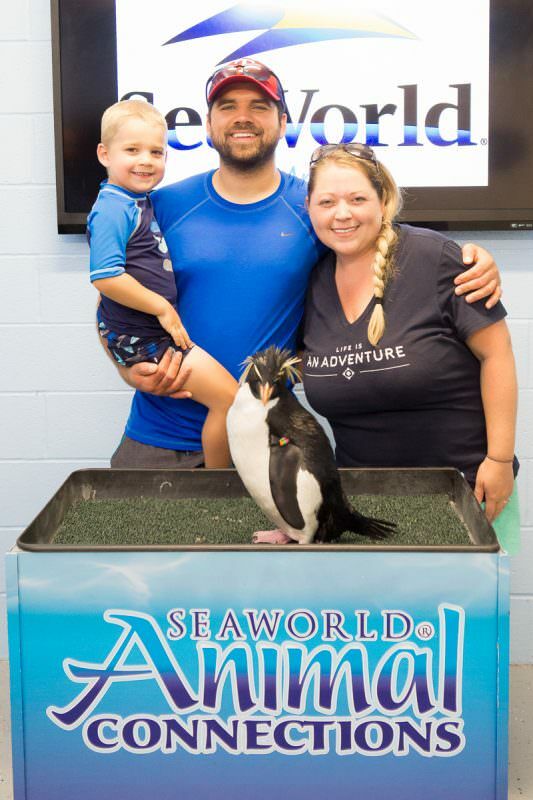 SeaWorld offers both a single day/single park ticket option, a 2 days 2 parks (1 day in each park) ticket, and a flex ticket that gives you unlimited admission into both SeaWorld and SeaWorld Aquatica for three consecutive days. The amazing thing is that the flex ticket is just a bit more expensive than the single day ticket, so it’s a no-brainer. Buy the flex ticket and buy it in advance. If you buy your tickets online three or more days in advance, you can save up to $15 on the ticket compared to if you bought it at the park the day of your visit. And when you’re traveling with a family of people, that savings can really add up! Or if you know you’re going to visit SeaWorld or Aquatica more than once during the year, check out the annual pass options. You get unlimited admissions for 12 months, free parking, and more all for less than $8/month. Annual passes tend to be a great deal IF you’re visiting at least twice! 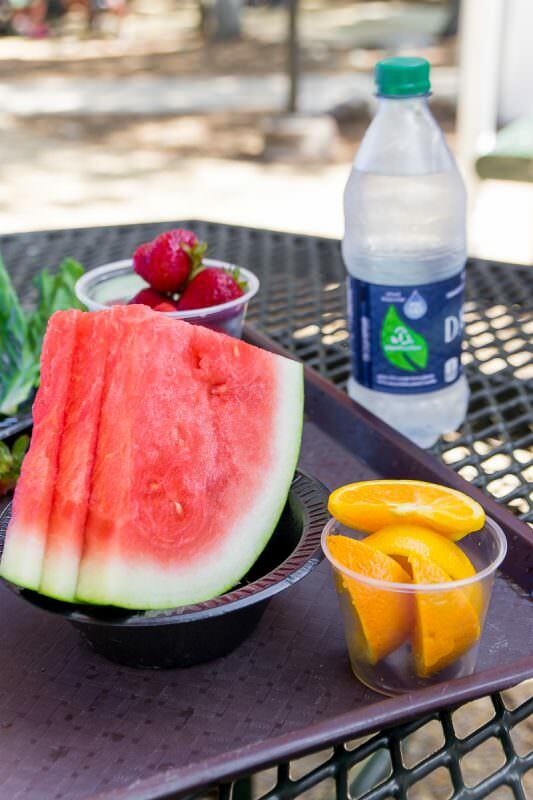 If you plan to eat in the parks at all, get at least one SeaWorld all-day dining pass. 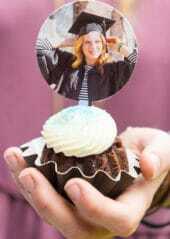 The dining pass is a wristband that allows you to get one entree, one side or dessert, and one non-alcoholic up to once every two hours in most of the SeaWorld San Antonio restaurants. So basically you can eat and drink all day long for a minimal price if you time it right. The two hour window starts as soon as you check out, and we just set an alarm to stock up on food again once the alarm went off. An adult dining pass is currently $34.99 and a child is $19.99. I’ll tell you – the one meal we purchased out of pocket was about $15/person. When we went a few years ago, the all day dining plan allowed you to eat once an hour, so it’s not quite as good of a deal now but still definitely worth getting at least one. You can’t share the dining pass but no one is stopping you from sharing that bottle of water you chose as your drink with your family. 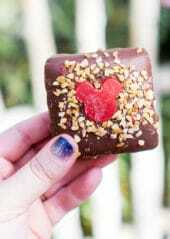 We found that the best restaurants were Shamu’s smokehouse and the Harbor Market. But all of the restaurants had decent entree options with healthy side options available! If you don’t get an all-day dining pass, at least get a refillable cup souvenir cup to stay hydrated. You pay once and drink all day long. 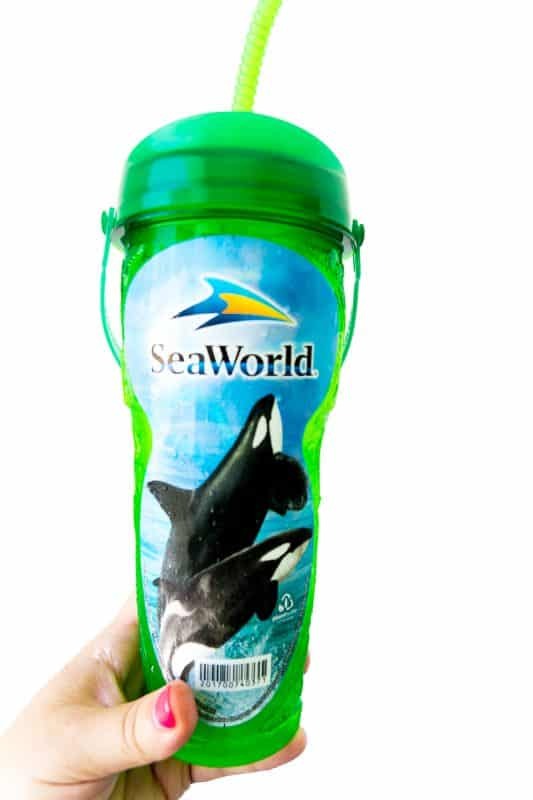 If you return to SeaWorld again during the season, you can use it again and pay a minimal fee for refills. If you want something that’s more of a sit-down experience, SeaWorld also offers fun character and animal eating opportunities like dining with the orcas (in the pool behind you), dinner with Elmo & Friends, and more. Get more info and dining reservations here. Unlike other parks where express passes and fast passes are well known, I feel like the quick queue unlimited ticket upgrade at SeaWorld is something not many people know about. Or at least it seemed that way as we walked to the front of the line with ours during our recent visit. The quick queue unlimited is an upgrade option for your ticket and really it’s an option that lets you walk to the front of the line on pretty much every one of the SeaWorld rides. The quick queue lines didn’t used to be particularly well marked, so just ask an employee at the front of the ride when you get there if you can’t find them. Most often, we went up the exit line directly to the front of the line where they scanned our pass and let us walk right onto the ride or back onto the ride as was the case when we rode the SeaWorld Journey to Atlantis ride! SeaWorld currently offers two different options for QuickQueue upgrades depending on your height and what rides you’ll be going on. The Quick Queue Junior option is geared toward kids while the Quick Queue Unlimited includes the adult thrill rides, etc. In addition to those options, there is an option to purchase a quick queue unlimited + reserved show seating pass. The price for the quick queue unlimited + reserved seating is about $12/person more, so we went with that one. And having the reserved seating was awesome in almost all instances. You can also upgrade even more to a reserved seating plus that also gets you a snack at the shows. It’s $2/person more right now and gets you a snack at each of the shows so if you like snacks, that upgrade might be worth it as well. One mistake my family made was to purchase AND sit in the reserved seats for all of the shows. While it was wonderful to not have to get to shows early with the reserved seating pass, we really missed out on feeling like part of the action at some of the SeaWorld shows. For instance, some of the key components of the SeaWorld Shamu show, One Ocean, is the orcas splashing the audience. The reserved seating for that show is up and above everything. You have a great view but you don’t get splashed and really don’t get any interaction with the animals or trainers. So I highly recommend getting to One Ocean early, sit in the splash zone, and be prepared to get soaked. It’s all a part of the SeaWorld experience. One of the main reasons I actually recommend getting a flex ticket is so that you can do everything there is to do, including all of the SeaWorld shows. We only visited SeaWorld for one day and realized it just wasn’t enough time. Each show only runs a few times each day, and it’s hard to make it all fit into one day. 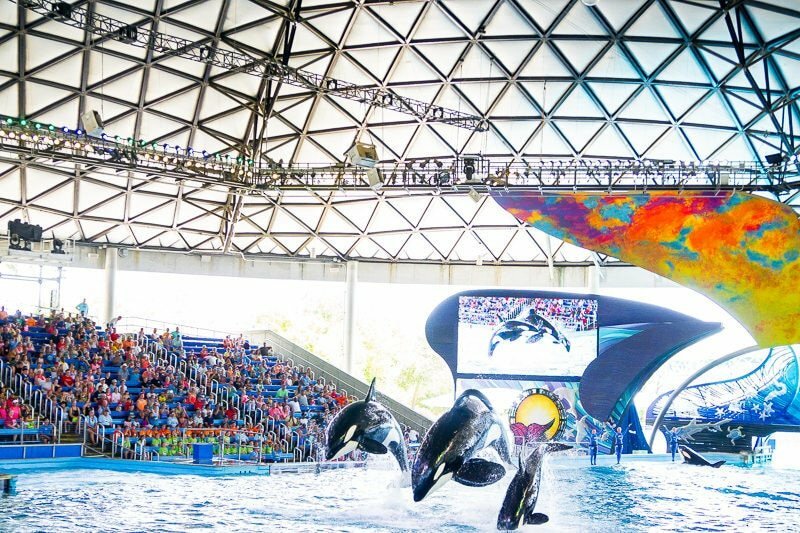 Plan two full days in the park, get a schedule of the SeaWorld shows ahead of time, and plan out when you’re going to watch each show. If you’re planning out your trip now, you can get a daily show schedule by clicking on the park calendar then choose the individual day (the actual number circle!) you’re visiting. Out of all of these SeaWorld shows, we only missed the animals ahoy one, which my son wasn’t too excited about because it’s not focused on sea animals. 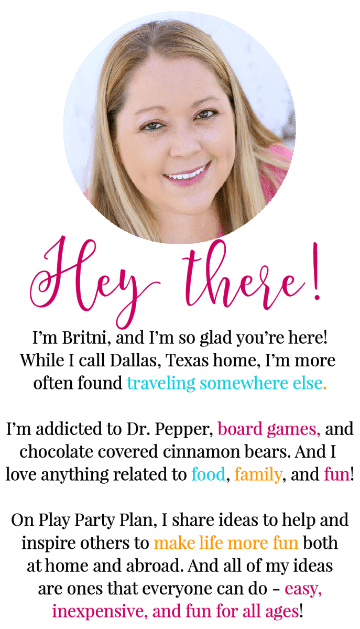 One of my readers did say that Pets Ahoy was her favorite though so if you have time, make it happen! 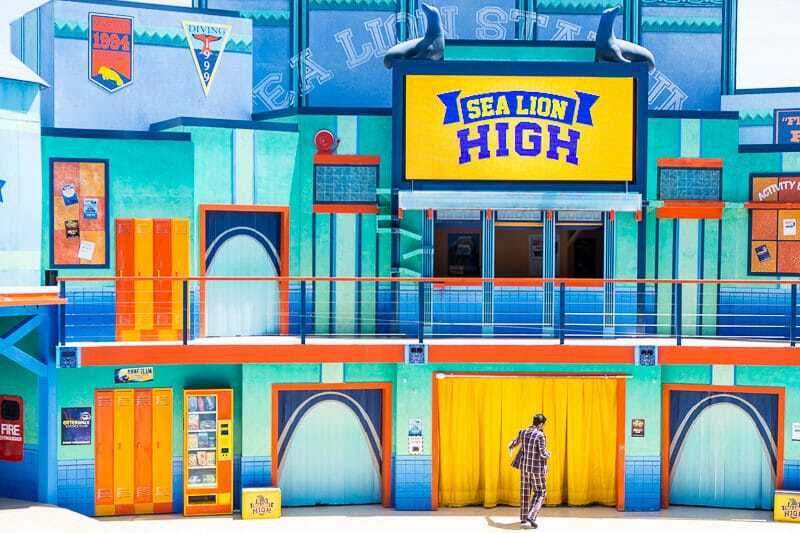 The shows listed below happen all year long, but they also add seasonal shows during the summer (or at least they have in the past) so make sure to check the full schedule for SeaWorld shows here. I’ve put stars by the shows I personally think are can’t miss shows! 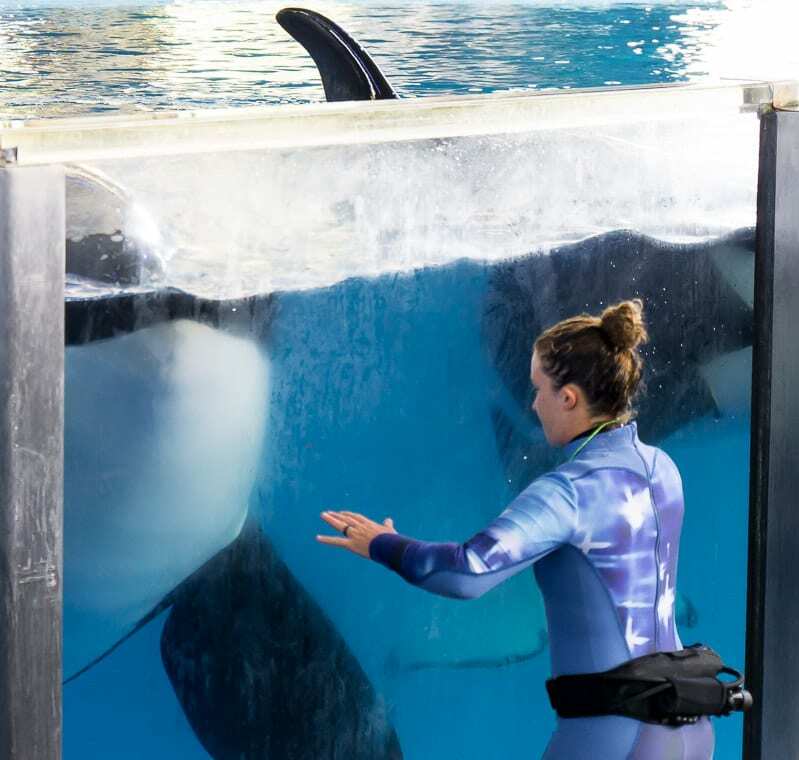 One Ocean* – SeaWorld’s premiere show full of orcas interacting with their trainers, jumping out of the water, splashing the audience, and more. If you’re going to see one show, see this one. 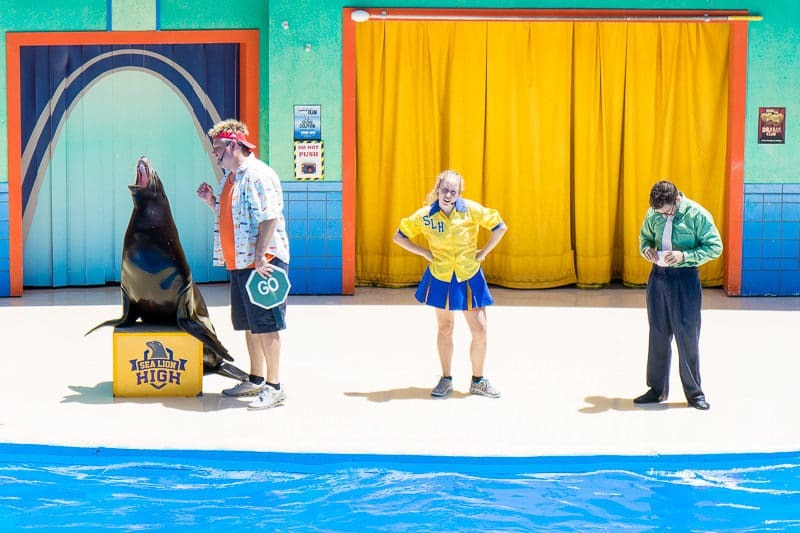 Sea Lion High* – sea lions play students at a high school on graduation day and have to go to “classes” to graduate. Silly but fun to see the sea lions at play. Ocean Discovery* – See birds, beluga whales, and Pacific white-sided dolphins interact with their trainers and perform. Pets Ahoy – Land animals like dogs, cats, and pigs (most rescue animals from local shelters) do entertaining tricks and perform for the audience. We did not watch this show but if you’re at SeaWorld to see sea animals, you can probably skip this one. Let’s Play Together – In the kids’ Bay of Play, these kid-friendly shows are perfect if you have a little one who likes Sesame Street. Sea Lions at Play – A chance to see sea lions and otters in a less formal, more laid back environment. Definitely not as structured as Sea Lion High but still fun if you like these animals. Killer Whales Up Close – this one only happened once and in the morning, so we missed it. It’s an up close look at the orcas and their trainers and definitely more educational than entertaining. 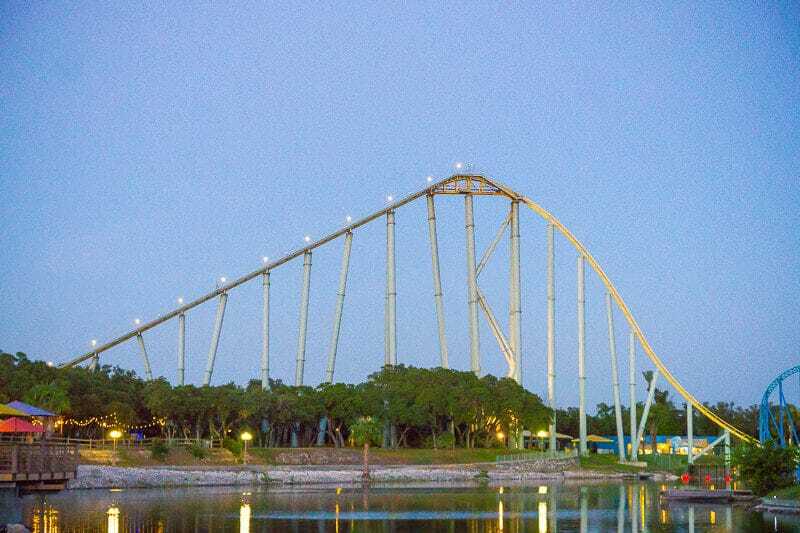 One of the most surprising things to me about SeaWorld San Antonio was how good the rides were. You don’t expect a park dedicated to sea animals to have good coasters, but it really does. And I know roller coasters! 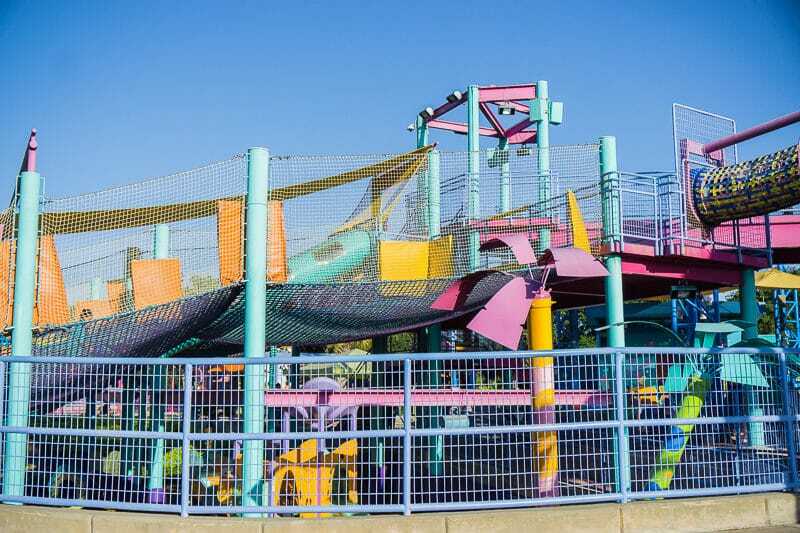 They also just opened redid their coaster for kids called Super Grover’s Box Car Derby that we haven’t tried yet, but it looks like a great first coaster for kids! And if it’s anything like the ride it replaced, Shamu Express, I’m sure it’s a fun one! And if you’re a big fan of raft rides, Rio Loco is fun as well but not on my must-ride list unless it’s really hot outside! SeaWorld’s mission has always been focused on education, conservation, research, and entertainment. One of the best ways they support that mission is through animal experiences for all ages at their various parks. 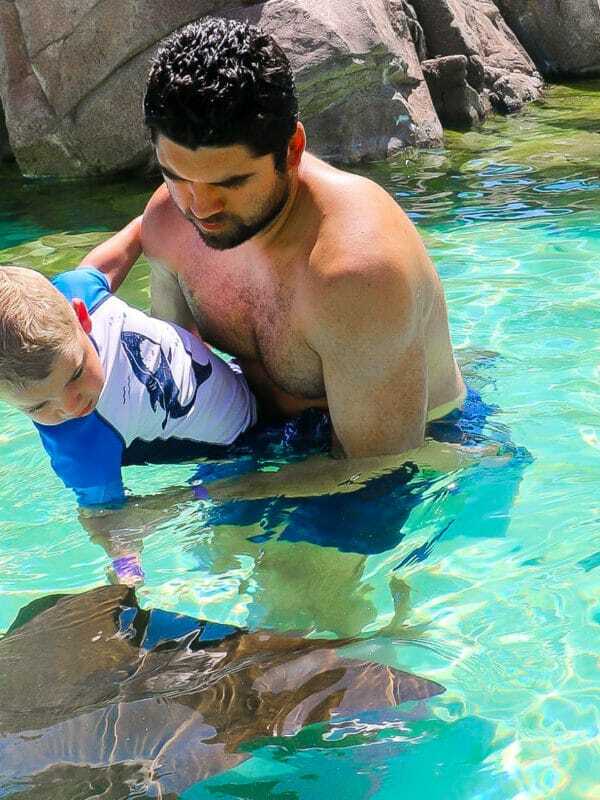 We had the opportunity to meet and interact with dolphins, to do a penguin encounter where we learned about penguins and actually met a penguin, and to get in the water with and feed stingrays (at Aquatica). And even though the shows and rides were amazing, the things that my family will remember from our visit was definitely getting the chance to learn about and interact with these amazing creatures. 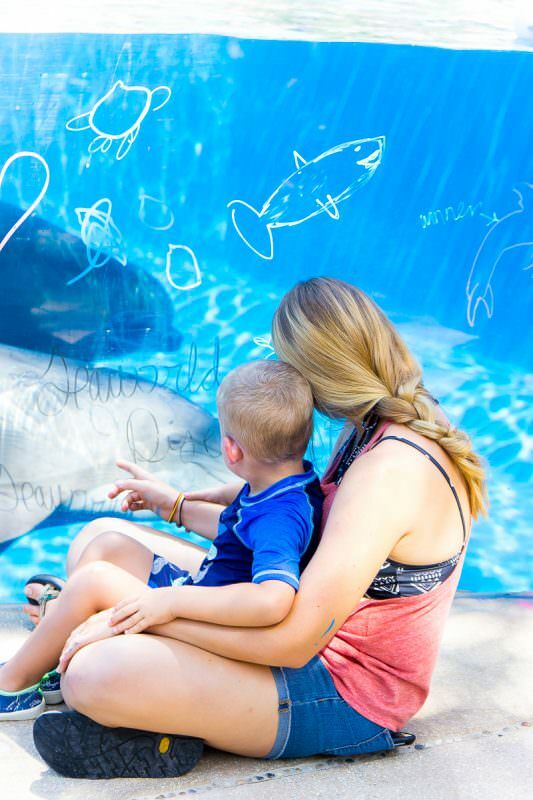 Since we had my 4-year-old son, we just did some of the more basic encounters but if your group is old enough, SeaWorld also offers the opportunity to swim with a number of the animals (beluga whales, sea lions, and dolphins) at Discovery Point. It’s definitely on our bucket list as soon as my son hits the age minimum. 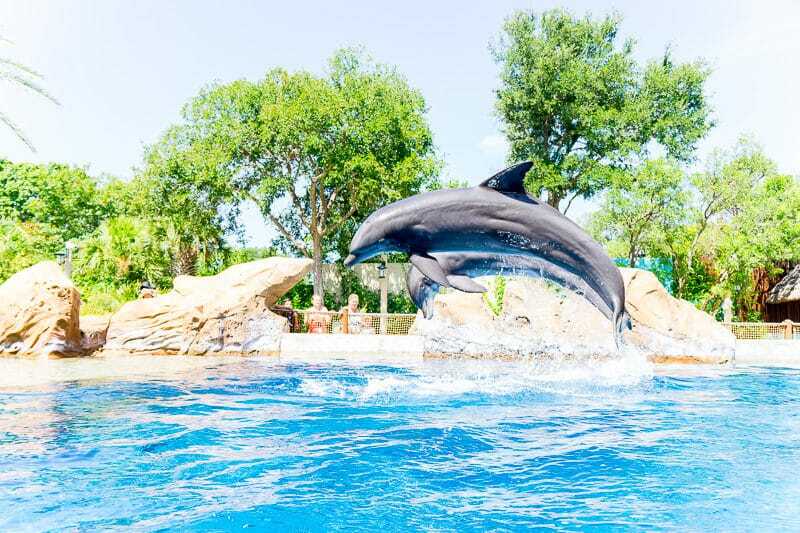 Insider Tip – Call SeaWorld San Antonio when you’re booking your animal experience because some of the times are not listed on the website, especially if there is only one time a day for the experience. You don’t want to accidentally book an experience during something else, so make sure to double-check times before booking! 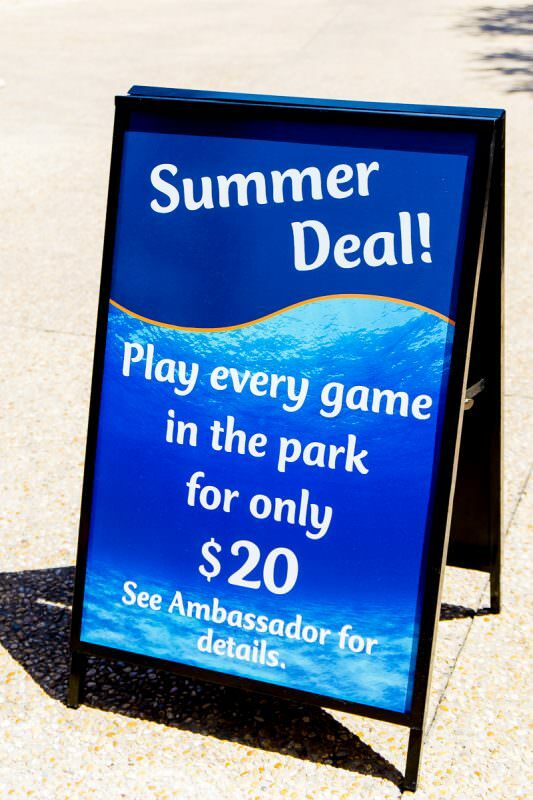 When we went back in 2017, SeaWorld San Antonio had one of the best game deals I’ve ever seen in my life, and I’ve been to a lot of amusement parks. This may have just been a promotional deal that summer but if it’s going on when you go, do it! Basically you pay $20 for a game card and that game card allows you to play every single carnival style game in the park. I asked one of the employees, and she said there were like 25 games in the park. Normally games are like $5 each, so it’s again, like the flex ticket, an absolute no-brainer. The best thing about it is that there are a handful of games in the park that are always win games. We played all of those and went home with bag full of stuffed animals that my son now sleeps with every night. And $20 for a bunch of stuffed animals + getting to play all of the games is a way better deal than buying something like a tube of dolphins or a t-shirt in a gift shop for $20. If you collect something from your trips, then go ahead and enjoy the souvenir shopping, but if not, the game card is the way to go! I mentioned it earlier but you can get an affordable flex ticket that gives you unlimited admission to SeaWorld and SeaWorld Aquatica. Definitely take advantage of the flex pass and plan at least a couple of hours, or even an entire day, at SeaWorld Aquatica. 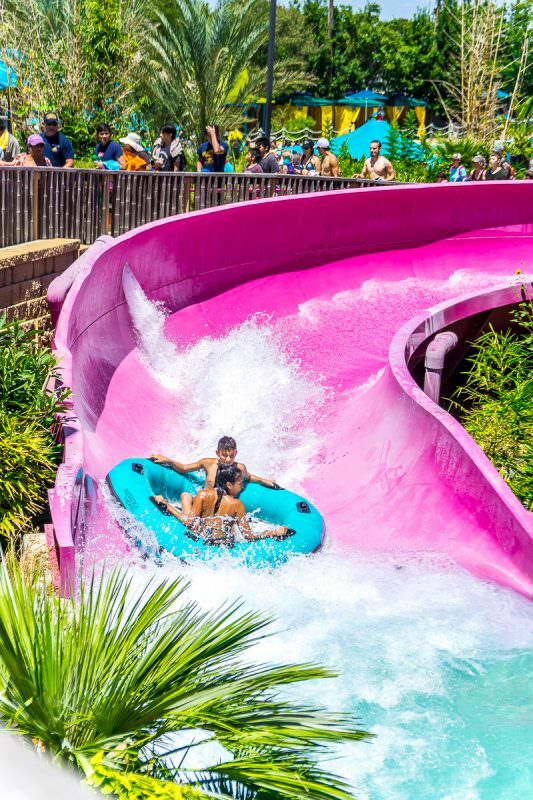 With one of my favorite rides (Stringray Falls) between either park, a great splash zone for kids, a handful of really fun slides, and more – SeaWorld Aquatica is definitely worth the visit! 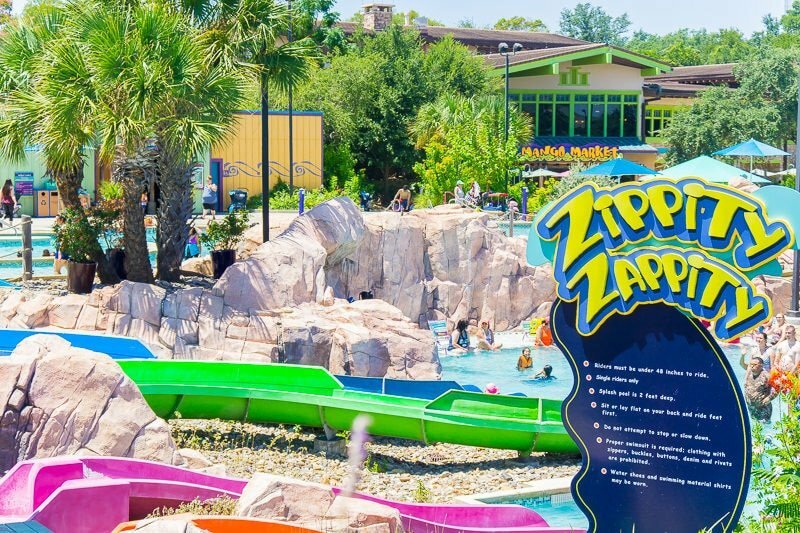 Don’t forget to pin these SeaWorld San Antonio TX tips for later! So many great tips. Definitely pinning this to refer back to. Thanks so much for writing it. I can tell you put a lot of work into this post. Some of the rides the listed on the unlimited quick queu are not listed on the unlimited quick queu AND preferred seating – do they really not allow you on the 2-4 rides not listed or do they allow you on everything? I am not 100% sure. I do know that when we visited we purchased the unlimited quick queue + reserved seating and were able to do unlimited on some that were not listed – Journey to Atlantic specifically. It’s possible it’s a website oversight on their part, but I would call the park to ask before purchasing your tickets just in case. Just what I needed before going! Thank you so much!!!! Hi! I am interested in learning more about the game card stuff. Can you email me? Please and thank you! I just emailed you, thanks! We lived like 5 minutes from Sea World in San Antonio, and it’s one thing I really miss since moving! I’m glad you guys had fun! I wish we were still there when you went! We could’ve met up!! me too! I feel like we’ve been close to each other but so far away. Maybe at a conference or retreat someday! How much are the all you can drink cups ?? In going this weekend love the guide. With the all day dining pass, you can get a whole meal once an hour if you want? You get an entree, a side or dessert, and a drink every 60 minutes. So if you purchase your meal at 10:10AM, your next one will be available at 11:11AM. It’s not done by hour of the day, it’s 60 minutes later. You missed out not seeing the ‘Pets Ahoy’ show!! On our first visit we just did just shows and no rides (due to winds) and the pet show way my boy’s favorite! They train over 200 rescue animals from pigs to birds, dogs, ducks and cats to do amazing things all coordinated in a single show. It was amazing!!! 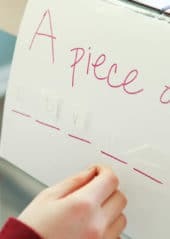 Great post , I discovered this was very useful, with respect to what I was actually hunting down. A debt of gratitude is in order for such post and please keep it up.